Any information provided by Baron Financial Group regarding historical market performance is for illustrative and education purposes only. Clients or prospective clients should not assume that their performance will equal or exceed historical market results and/or averages. Past performance is not indicative of any specific investment or future results. Views regarding the economy, securities markets or other specialized areas, like all predictors of future events, cannot be guaranteed to be accurate and may result in economic loss to the investor. Every investment strategy has the potential for profit or loss. Nothing contained on this website constitutes investment, legal, tax or other advice and is not to be relied on in making an investment or other decision. Baron Financial Group does not directly provide tax or legal advice to its clients and all clients are strongly urged to consult with their own tax or legal adviser regarding any potential strategy or investment. Any statement contained herein concerning U.S. tax matters is not intended or written to be used, and cannot be used, for the purpose of avoiding penalties imposed on the relevant taxpayer. Adviser does not make any representations or warranties as to the accuracy, timeliness, suitability, completeness, or relevance of any information prepared by any unaffiliated third party, whether linked to Adviser’s web site or incorporated herein, and takes no responsibility therefore. All such information is provided solely for convenience purposes only and all users thereof should be guided accordingly. This website is owned by Baron Financial Group, LLC. This website and any and all accompanying screens, information, materials, user documentation, user interfaces, images, arrangements of information, related software and other proprietary property of Baron Financial Group accessible via the website is and shall remain the exclusive property of Baron Financial Group. All rights to the website remain with Baron Financial Group. This site is for your personal and non-commercial use. You may not modify copy, distribute, transmit, display, perform, reproduce, publish, license, create derivative works from, transfer or sell any information, software, products or services obtained from this site. All wording in italics are taken directly from the award creator. The Women’s Choice Award for Financial Advisors was created by WomenCertified Inc. in an effort to help women make smart financial choices. Financial Advisors do not pay a fee to be considered or placed on the final list of Women’s Choice Award® Financial Advisors, though they may have paid a basic program fee to cover the cost of a client survey through Advisor Impact. The inclusion of a financial advisor within the Women’s Choice Award Financial Advisor network should not be construed as an endorsement of the financial advisor by WomenCertified or its partners and affiliates and is no guarantee as to future investment success. We are proud to be a Women’s Choice Award Financial firm since its inception in 2013. Financial Advisors and Firms who qualify for the Award are evaluated using 17 objective criteria. In addition, and to augment the evaluation process, the advisor is required to submit letters of validation from senior representatives at their respective firm or broker dealer and/or they may have completed a survey of the advisor’s clients to obtain client feedback regarding service and practices. Baron Financial Group paid an independent third party firm, Advisor Impact, to conduct a survey of their clients in 2010/2011. The survey results from 2011 were used by WomenCertified Inc. to obtain client feedback regarding Baron Financial Group’s services and practices. The rating may not be representative of any one client’s experience because the rating reflects an average of all, or a sample of all, of the experiences of the investment adviser’s clients. The rating is not indicative of adviser’s future performance. Baron Financial Group, once chosen as a Women’s Choice Award Financial Firm, paid WomenCertified Inc. to be part of the Women’s Choice Award partnership program, which includes access to educational webinars, E-newletters, and other educational resources, as well as, use of the award seal. Criteria 1-10 is required, while 11-17 is considered in determining qualification. Actively employed as a licensed or credentialed professional in financial services for a minimum of three years. Credentials include an IAR (Investment Advisory Representative), a FINRA-registered advisor/broker, an RIA (Registered Investment Advisor), a CPA (Certified Public Accountant) , CFP® (Certified Financial Planner), PFS (Personal Financial Specialist), or a licensed attorney practicing in financial services. Must be in compliance with regulatory requirements of the SEC, state securities regulators in states where they do business, and self-regulatory bodies. Must be in good standing with the standards of the firm with which they are affiliated. Must not have been subject to a regulatory action that resulted in their license being suspended or revoked, or payment of a fine. *A favorable regulatory and complaint history is defined by WomenCertified, Inc as No more than three customer complaints filed against them with any regulatory authority, no individual contributions to a financial settlement regarding a filed customer complaint, and no suspension or revocation of license as the result of a regulatory action. Baron Financial Group Advisors Victor Cannillo and Anthony Benante, are recipients of the Five Star Professional Wealth Manager Award in New Jersey for 2019. They are proud to be multi-year-award recipients in NJ. Anthony Benante is also a Sarasota Five Star Professional Wealth Manager multi-year-award recipient. 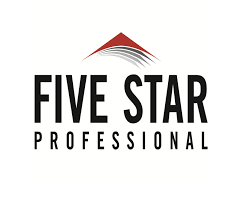 The Five Star Professional research team applies a vigorous research and evaluation process to identify service professionals who provide quality services to their clients. Professionals do not pay a fee to be considered or placed on the final list of Five Star award winners. Five Star Professional follows standard survey practices used by other professional research organizations. The research also includes a regulatory review to provide necessary checks and balances. The rating may not be representative of any one client’s experience because the rating reflects an average of all, or a sample of all, of the experiences of the investment adviser’s clients. The Five Star Wealth Manager award, administered by Crescendo Business Services, LLC (dba Five Star Professional), is based on 10 objective criteria. * As defined by Five Star Professional, the wealth manager has not: A. Been subject to a regulatory action that resulted in a license being suspended or revoked, or payment of a fine; B. Had more than a total of three settled or pending complaints filed against them and/or a total of five settled, pending, dismissed or denied complaints with any regulatory authority or Five Star Professional’s consumer complaint process. Unfavorable feedback may have been discovered through a check of complaints registered with a regulatory authority or complaints registered through Five Star Professional’s consumer complaint process; feedback may not be representative of any one client’s experience; C. Individually contributed to a financial settlement of a customer complaint; D. Filed for personal bankruptcy within the past 11 years; E. Been terminated from a financial services firm within the past 11 years; F. Been convicted of a felony); Award does not evaluate quality of services provided to clients. Once awarded, wealth managers may purchase additional profile ad space or promotional products. The Five Star award is not indicative of the wealth manager’s future performance. Wealth managers may or may not use discretion in their practice and therefore may not manage their client’s assets. The inclusion of a wealth manager on the Five Star Wealth Manager list should not be construed as an endorsement of the wealth manager by Five Star Professional or this publication. Working with a Five Star Wealth Manager or any wealth manager is no guarantee as to future investment success, nor is there any guarantee that the selected wealth managers will be awarded this accomplishment by Five Star Professional in the future. For more information on the Five Star award and the research/selection methodology, go to fivestarprofessional.com. In New Jersey: 2019: 6,097New Jersey area wealth managers were considered for the award; 447 (8 percent of candidates) were named 2019 Five Star Wealth Managers. 2018: 4,383 considered, 415 winners (9 percent); 2017: 3868 considered, 664 winners (18 percent); 2016: 4,143 considered, 626 winners (16 percent); 2015: 5,063 considered, 672 winners (aprox. 3 percent); 2014: 3,315 considered, 646 winners (aprox. 20 percent); 2013: 4,049 considered, 733 winners (aprox. 19 percent); 2012: 1,312 considered, 400 winners (aprox. 30 percent). In Sarasota: 2016: 464 Sarasota wealth managers were considered for the award; 96 (21 percent of candidates) were named Five Star Wealth Managers; 2015: 602 considered, 112 winners(19 percent); 2014: 1717 considered, 146 winners (approximately 9 percent).